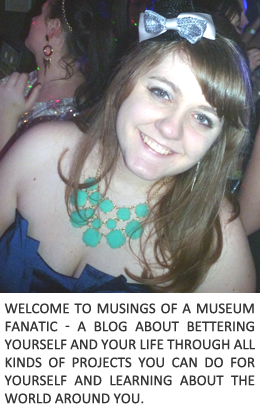 Musings of a Museum Fanatic: Continuing the awesome! This weekend and today I've been a beast about taking care of my new year resolutions! This weekend Kevin and I got a good chunk of items out of our storage room. Our (mainly my) plan is clear out the items we don't use regularly, yay for storage at our parents, and move stuff from the condo that we will need to access somewhat regularly into there. Since neither of us is Suzy homemaker keeps everything in it's spot always keeping it clean when the time comes hopefully in the next year to sell we're going to need practice keeping it ready to show. I totally ended up planning all our meals this week without actually realizing it! Tonight we're having grilled chicken probably flavored with one of my fabulous Pampered Chef rubs nom nom. I'm leaning towards the Smoky Barbecue Rub, since I just got it haven't tried it yet. Tomorrow night I got these little meal things that include one pork chop and veggies or potatoes from Mariano's. These bad boys are so nice all you have to do is pop them in the oven and make whatever else you want with them! Thursday night I'll be making this. The biggest thing I feel great about accomplishing is getting my shopping under control. I returned $86 worth of clothes today. Not that I wouldn't eventually wear the items but they were really ones that I just didn't need either for wearing personally or for work. I'm sure the lady at NY&Co wasn't appreciative of the 6 items I returned but I felt really good about it. While I was out doing this and talking to my friend the entire time we decided we're going to go a few months without superfluous spending. We were talking April but for now we're going to take it a month (maybe even two weeks) at a time so we don't feel overwhelmed. If we have giftcards that's ok cause that's free money but other than that no spending! We already decided on our rewards, cause it's just so much more fun when you have something to work for right? She's going to get a couple really nice sundresses for her trip to the Dominican Republic. I decided more Pampered Chef stuff will be my reward. Each season consultants are able to purchase kit enhancements, which are a la carte or difference packages of the new products. I usually only get a couple small things but this time if I do well I will go for a bigger package. How are your new years resolutions going this week? Here are the five things I'm going to work on to continue my awesomeness this week. 3. Write one wedding post. I'm in the midst of a spending freeze. I set out to do January 1 - February 15. I'll take off until March 20, then get back on for another 30-45 day period.